Unless you’re a die-hard horse racing fan, you might have missed the memo. Or possibly, you just like to keep up-to-date on the news happenings of Kentucky. Either way, Kentuckians just finished up the weekend’s Kentucky Three-Day Event. However, this was the first year in the last 35 the horse riding event — which is held annually the weekend before the world-famous Kentucky Derby — held a presenting sponsor other than Rolex, as the automotive company Land Rover paid to sponsor the event. Rolex decided last spring to drop its sponsorship of the weekend. Aside from the event directors having to employ a tactical public-relations strategy to get patrons to refer to it by the proper name now that Rolex isn’t involved, the watch’s green color will be phased out and winners will now receive a Land Rover car instead of a watch, among other changes. Rolex continues to be the official timer of the weekend’s events. Even with the changes to this one event, Rolex still holds a fair amount of clout in the horse racing and equestrian communities. 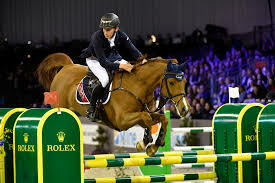 Aside from owning the naming rights on Rolex Stadium at the Kentucky Horse Park in Lexington, the Swiss watchmaker also sponsors the Rolex Grand Slam of Show Jumping, which comprises four equestrian tournaments in Germany, Canada, Switzerland and the Netherlands. 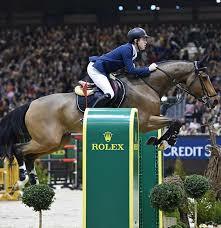 Rolex isn’t the only major watch company with a stake in equestrian sports. 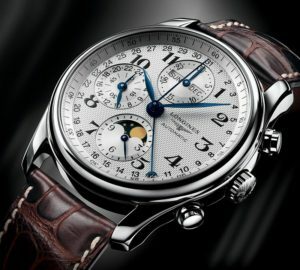 Longines is a major sponsor with the Federation Equestre Internationale, the international governing body for equestrian sports. Longines also has its name on the International Federation of Horseracing Authorities (IFHA) best racehorse and best jockey rankings. (If you’re wondering, Australian Winx is in the No. 1 spot among horses, while Hugh Bowman, a fellow Aussie, is the top-ranked jockey). Longines, famously, is the official timer of the Kentucky Derby, which will be competed on Saturday, May 5. Longines representatives will present the owner, trainer and jockey of the winning horse with watches from the brand’s Master Collection. 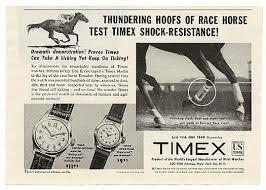 Timex, the American watchmaking company, used horse racing in at least two of its advertisements. The first, debuting in a 1953 print ad, proclaims the company strapped a Timex Marlin to the leg of a racehorse to prove its durability and that the watch “can take a licking yet keep on ticking.” The other, advertising the datejust, shows the start of a horse race, except one horse is left in the gate and without a jockey. The words “never miss a date again” flash on the screen.